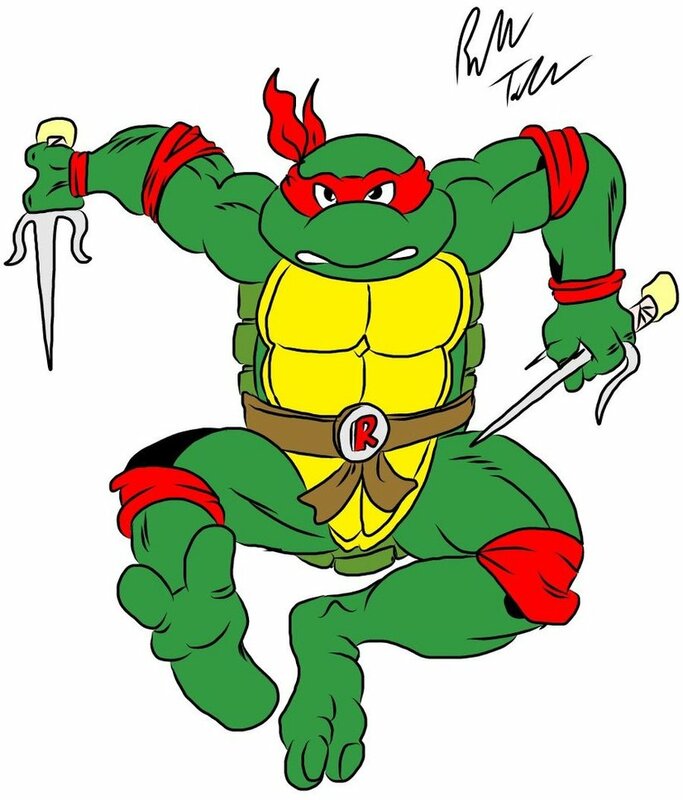 Back in 1987, my eldest had me videotaping a new cartoon series that had just hit our screens, and which, unfortunately, aired just before he made it home from High School. Ergo the daily videotaping. I can’t remember whether he got over the TMNTs or whether the airing time changed and he was able to see them as they aired. Anyway there have been many incarnations since. 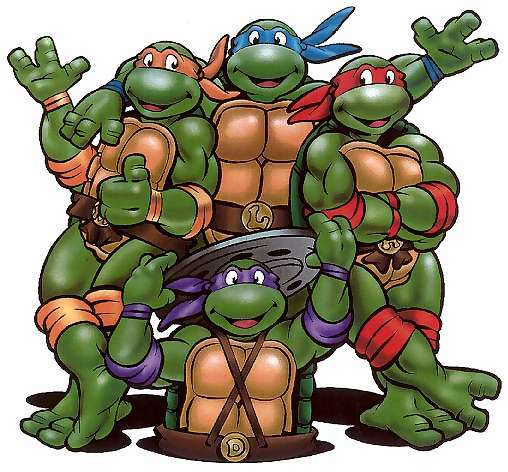 The cartoons aimed at kids were of necessity a bit lighter in tone than the comic book versions aimed at a slightly older audience, and the look of the turtles changed a bit when CGI came in. 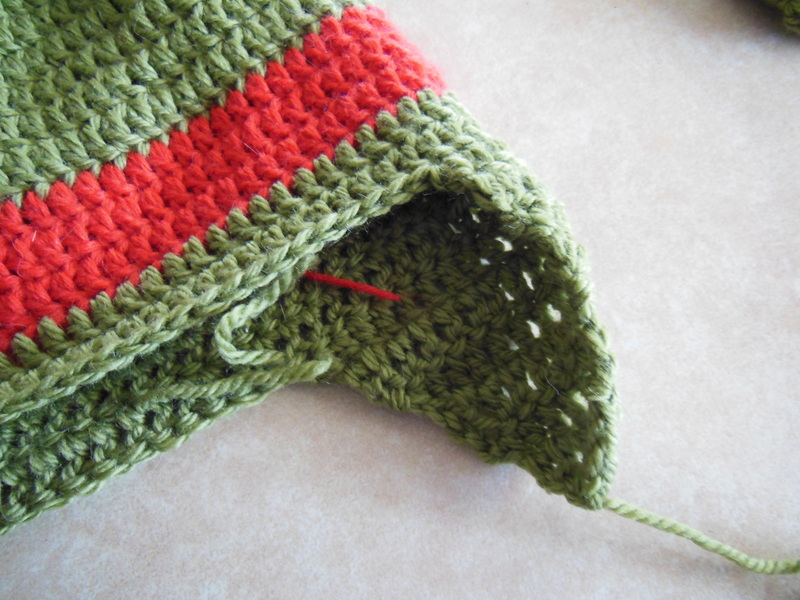 I couldn’t find a pattern that I liked, and murky-turtle green was in astonishingly short supply in my stash. However, a quick hit on the Bendigo Woollen Mills website provided the appropriate colour [ although – surprisingly – they call it ‘Bracken’ rather than murky-turtle ] in the weight of yarn I preferred, and then my improvisational crochet skills were called into use. 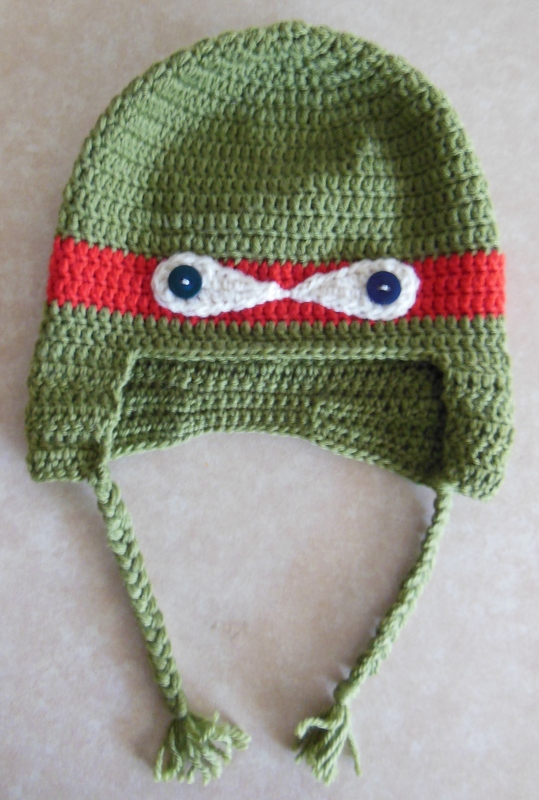 First version using a conventional earflap … passable but not quite what I had in mind. 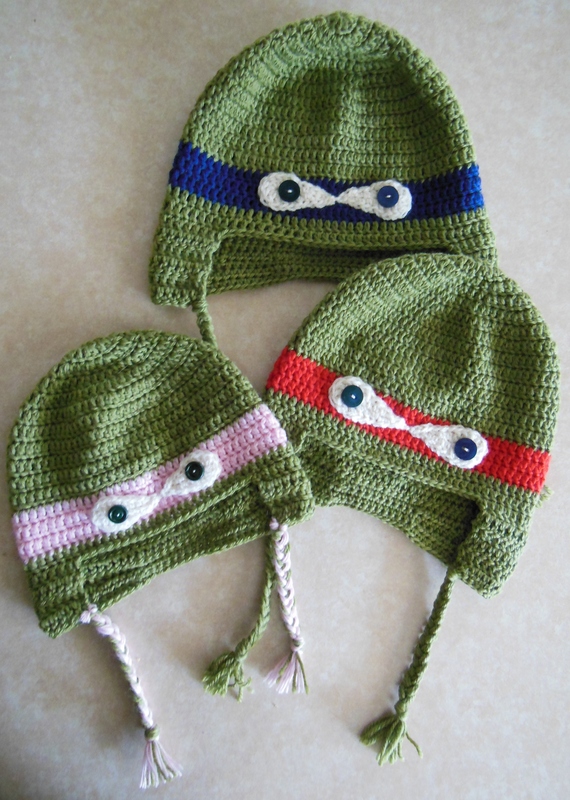 But then it was gently suggested that similar hats for his siblings for be happily received , so a blue [Leonardo ] one for Riley, and a pink one for Asher even though there are no girl turtles as far as I know. Finished this morning, for delivery tomorrow, and now all I have to do is keep my fingers crossed that I managed to get the sizes right.